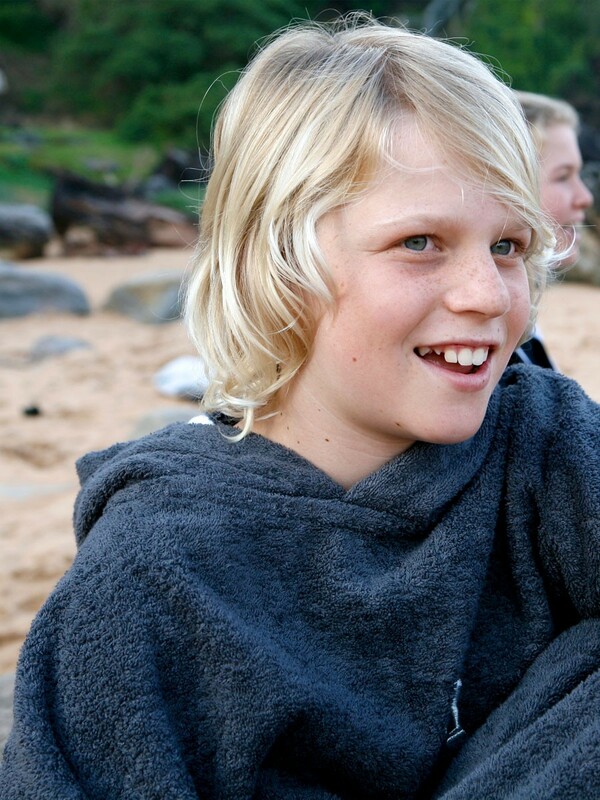 This quality surf poncho & changing robe allows kids to cover-up discretely when changing in public. No need for stumbling with a towel while they get in & out of swimwear & wetsuits. 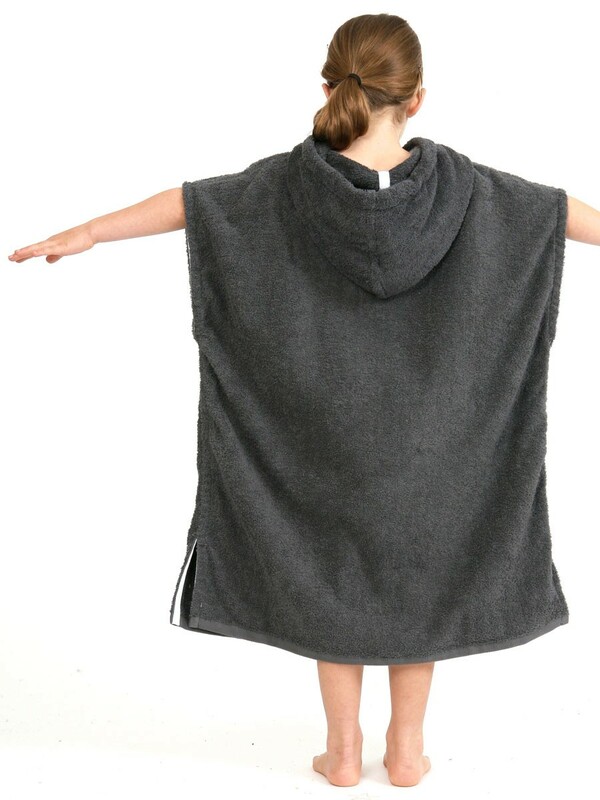 Poncho fit is deliberately loose allowing room to move with ample fabric to dry arms, legs & face. Perfect for carpark changing, these cosy towelling ponchos also keep that icy cold wind off swimming or surfing as well as keeping the sun off precious skin. Plus they are expertly cut & styled to look fantastic on. Ever popular for swimming, surfing & all other water sports. Plus a great beach & pool accessory for family holidays to the beach or sea. 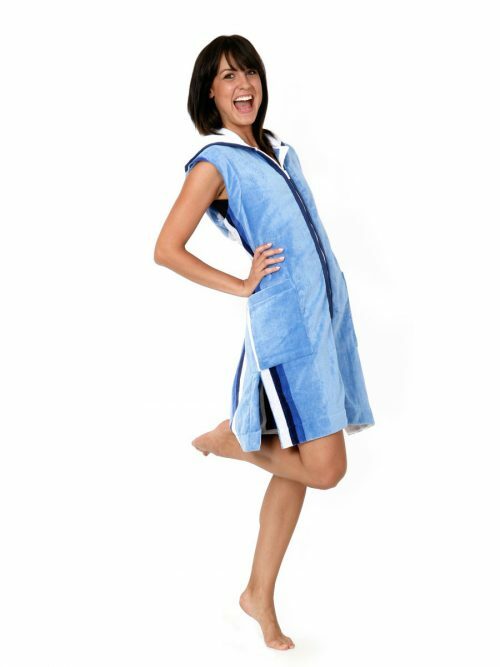 Make trips to the beach & pool a breeze with this versatile beach accessory that works well AND looks great. 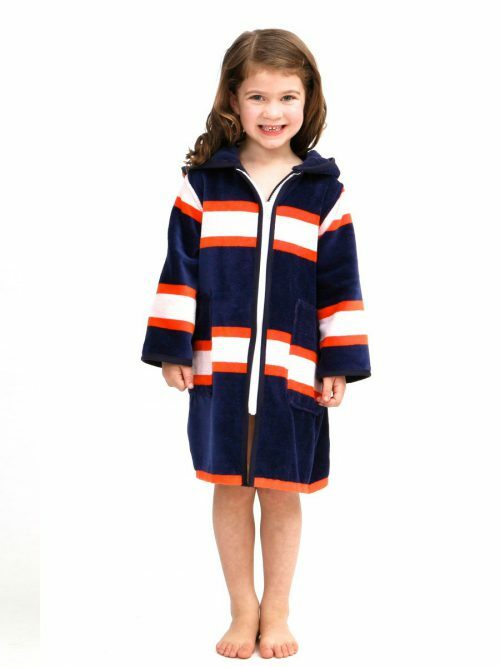 A beautiful quality & stylish changing robe that allows you to cover-up discretely when changing. No need for clumsy stumbling with a towel while you try to get in and out of your swimwear or wetsuit. 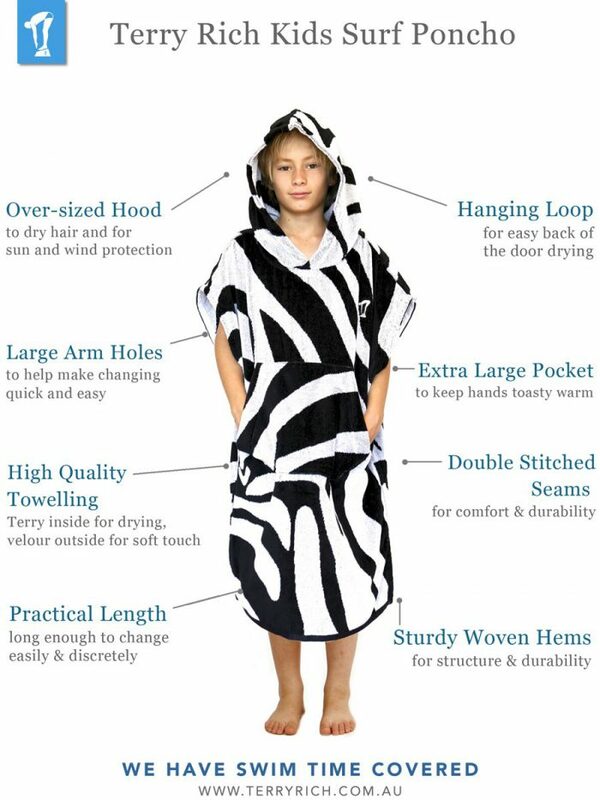 Poncho fit is deliberately loose to allow enough room to move while changing and ample fabric to dry your arms, legs & face. 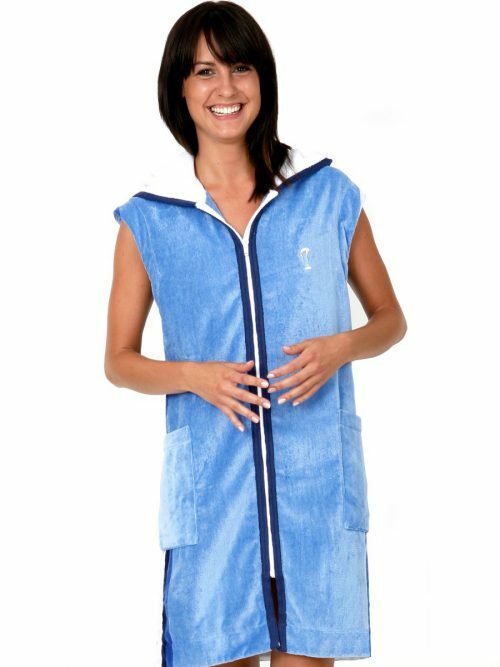 Not only perfect for carpark changing, these cosy towelling ponchos will keep that icy cold wind off you after a swim or surf as well as keeping the sun off precious skin. Plus they are expertly cut and styled to look fantastic on. 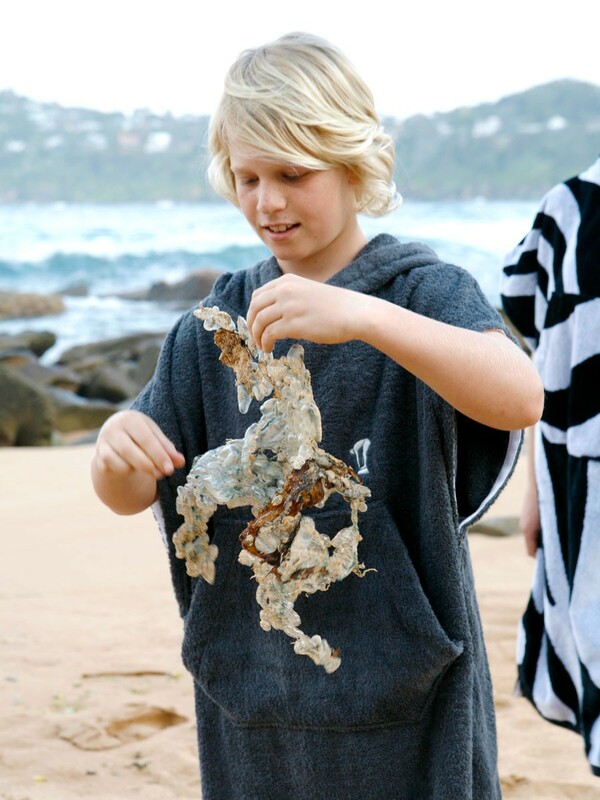 Unlike many others available, there is no need to hide away in this surf poncho. It is smart & stylish. 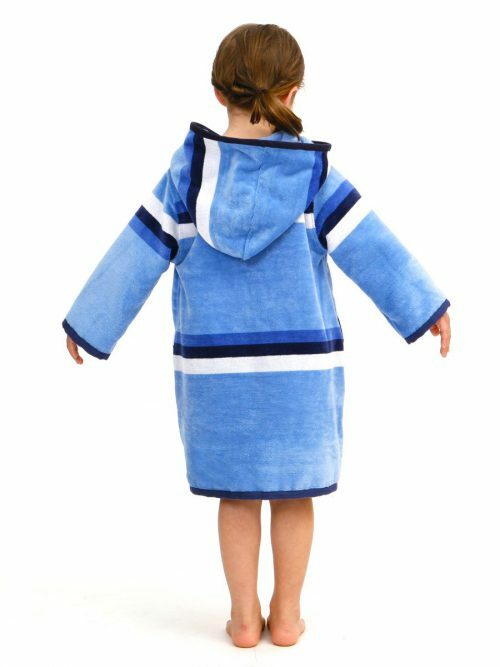 Ever popular with swimmers, surfers, windsurfers, sailors, kayakers and other outdoor water sports lovers as well as being a great beach & pool accessory for family holidays. 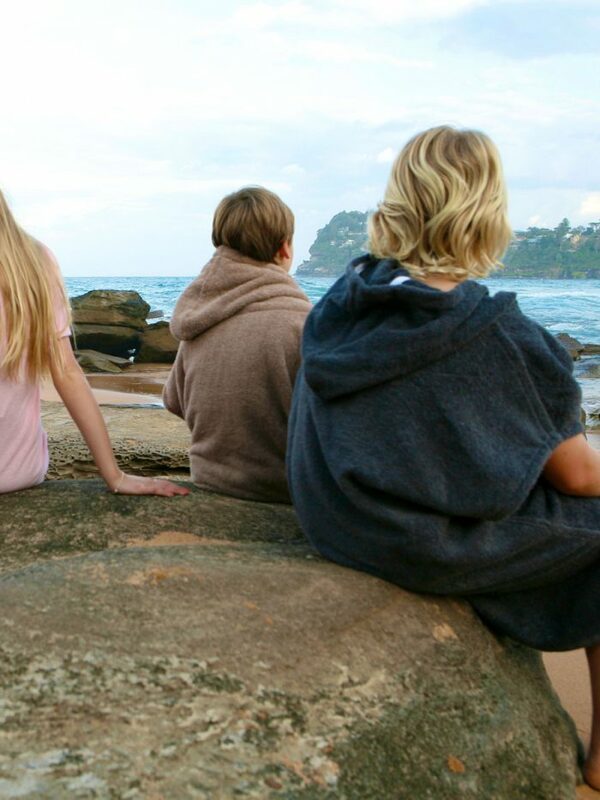 These surf ponchos are such a great investment for anyone who needs to change for a swim, surf or paddle in the carpark, especially on icy cold mornings or windy afternoons. 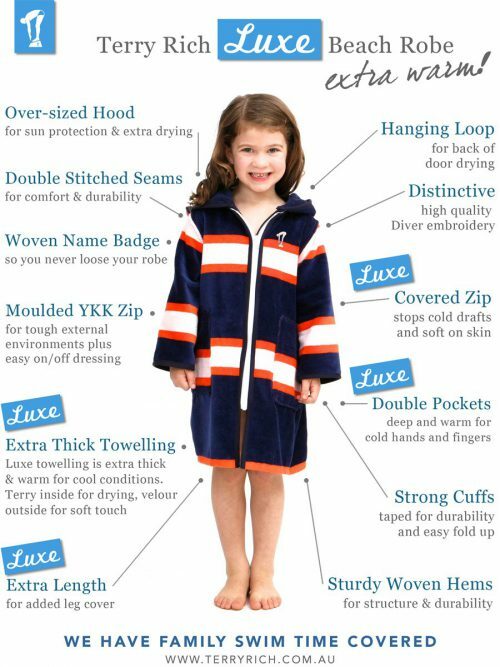 Also perfect for children that may not be as skilled with wrapping and securing a towel when changing.